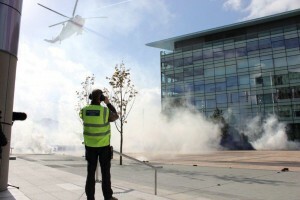 Local jobs for local people… Today saw the move of Blue Peter to the BBC’s new studio at Media City in Salford, with Barney & Helen arriving in dramatic style. 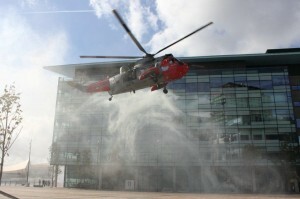 While Barney came across the quays by jet ski, Helen in a ride in a Sea King Helicopter, provided by the Royal Navy (771 Squadron). 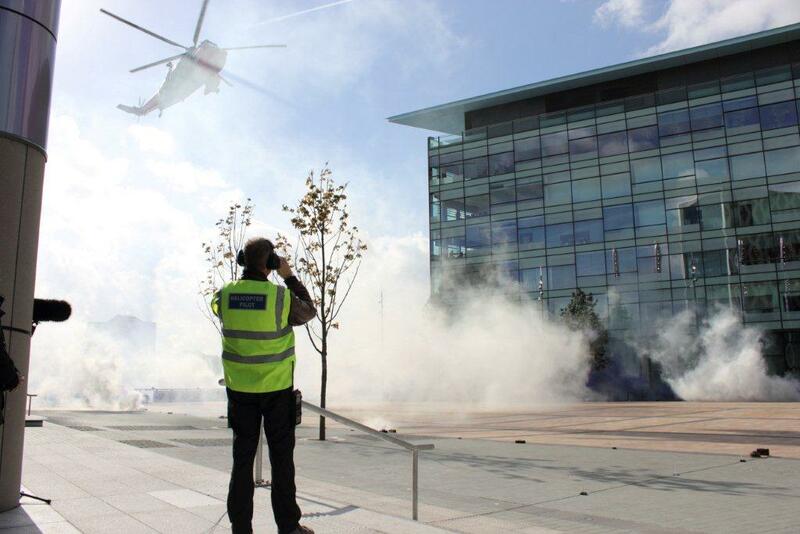 When the director wanted blue and white smoke this is where we came in, with a series of smoke canisters, securely fastened down to cope with the 60mph down draft, fired as the aircraft was on its final approach. 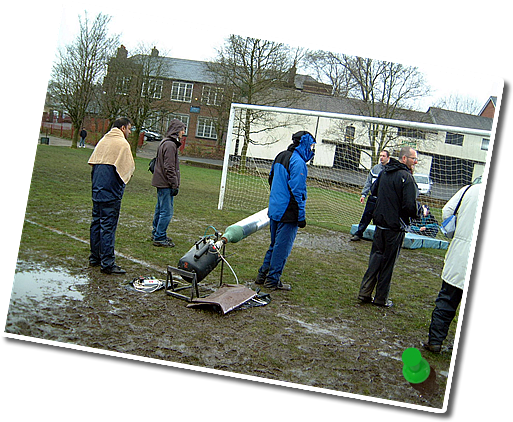 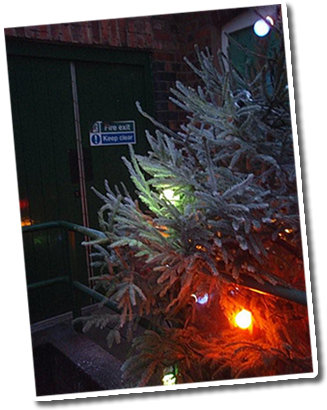 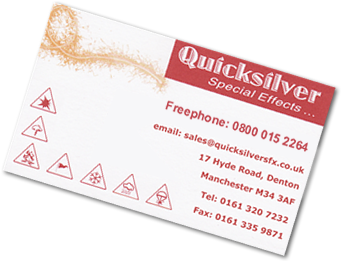 As a Manchester based special effects company, Quicksilver SFX are only 30 minutes away for those last minute jobs, urgent recces and production meetings.